Discussion in 'Pokémon Role Play' started by Satoren, Sep 20, 2010. OoC: Hide the women and children, it's back! Secret of the Aura Guardians, now on its third reiteration! Today was going to be a busy day for the many workers of Aldoran Palace. They and their ancestors before them have been serving the small kingdom for countless generations; and all certainly recognized the importance of this particular day. Several men and women hurriedly ran about the castle's now populated courtyard, mixing themselves with the several hundred visitors who had flocked to the castle. They, too, were equally aware of the events taking place today. As they chatted excitedly and admed the castle's inner sanctum, its employees were busy decorating even the smallest aspects of the castle. No alley was left darkened; no house was left plain. Within the castle, dozens of cooks scrambled through the kitchen, bringing out steaming pots of food and delivering ingredients in by the wheel barrel. Inside the palace's hallways and hundred or so rooms, the maids ran in and out of countless doors, making sure everything was in place, and that each room was sparkling clean. Fortunately for the castle's valets, it did not take much to make the palace itself any more beautiful than it already was. The castle had survived centuries of change; retaining its elegant towers that reached towards the sky and the many beautifully crafted structures that surrounded them. Over the years, there had been several renovation projects in an effort to retain its majesty, and thankfully they did nothing to misplace neither its historical value nor its natural wonder. The mysterious crystals that littered the castle grounds had also made it to this day unscathed, possibly even larger and more lustrous then they were a century ago. Like the palace, these crystals were very important to Aldoran's history, playing a part in the legendary tale of how a lone man was able to stop a great war that would have surely ravaged the kingdom. In the eyes of Aldoran's denizens, that lone man was a hero; a protector; a guardian of the Aura. "The Aura Guardians were a select few. As far as historians know, there were only a few accounts that spoke of them. One could call them a secret organization of sorts, possibly like an order of knights. They were people pure of heart; whose courage and righteousness somehow allowed them to control the power known as Aura," explained a young man to his female companion. "What exactly does that mean?" She asked thoughtfully. The two were slowly making their way towards the castle. At the moment they were atop a bridge crowded with people eager to attend the day’s festivities. Moving at a sluggish pace, the two decided to stop and admire the crystal blue lake several hundred feet below them. As they continued their conversation, a small blue creature that was perched on the girl's shoulders jumped down onto the railing. It looked around wildly at the commotion, using its ears in lieu of arms to scan the crowd. Holding the young man's hand was a short, orange creature. He looked at the other humans walking by and held his trainer's hand tighter. "I don’t think I’ve ever heard of humans displaying powers like Pokemon, unless you count those weird psychics on TV and stuff. Say, do you suppose Aura is actually something like that; latent abilities lying within the human subconscious?" The young lady theorized as she fondled the little blue Pokemon's ears. The two then looked down at the sparkling waves splashing against the bridge's base. "Well, I wouldn’t know. Whatever Aura really is, if it could stop wars from happening, it’s an impressive power indeed,” commented the young man as he and his orange companion joined them in watching the current brush gently against the stone pillars. The girl turned her head towards the castle, and the colourful ocean of people making their way up its steps and into the courtyard. The people chattered excitedly, and several of them were even singing whilst strumming their musical instruments, no doubt props to complement the extravagant costumes they wore. 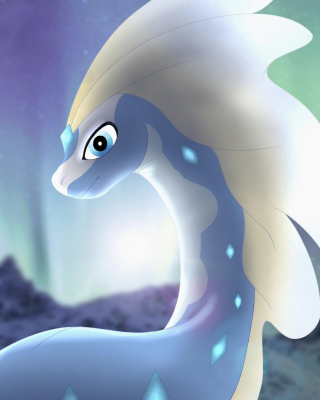 Her wynaut hopped up on her shoulders to see what she was seeing, and both looked at each other with a sly grin. Naomi looked down upon her own clothes; chic and expensive as they were, they made her stick out like a sore thumb. "We should probably head inside," she told Ruin excitedly. "The tournament will be starting soon, and we need to get in costume!" "Wynaut;" added the Pokemon on her shoulder. With a spring in her step she skipped away from the bridge's railings, grasping Ruin's hand and pulling him in the same direction as the crowd. Ruin instinctively grabbed hold of his own Pokemon, who leapt off the railing before being pulled through a crowd of strangers. "Bui Bui!" The Buizel cried out. He wasn't terribly fond of large crowds. "The tournament will be starting in an hour, who takes that long to find a costume?" he asked exasperatedly, subtlely attempting to escape from her grip so he could carry his Pokemon in his arms. "Well excuse me; I happen to be a girl, and we're naturally inclined to sample at least five dresses before actually picking one," she replied matter-of-factly. With that, Ruin had given up on a rebuttal as he and his Buizel were hurriedly dragged across the bridge towards the castle. As they climbed up the stairs, they slowed down to a steady walk. Several people in front of them had attempted to push the people further in front up the stairs and into the Castle's interior, causing those people to bounce back in defiance. Using this opportunity, Blues leapt into Ruin's arms; his body shaking furiously. The young man was stroking his back to comfort him when Naomi wrapped her arm around Ruin's, winking at him as he blushed. "So, what Pokemon are you planning to use?" she asked him. "I think it would be nice if you battled with Alisa." "Wynaut!" O'Rellie agreed. The redness in Jay's cheeks faded as he looked at the duo indignantly. "But Alisa just evolved! And I'm sure there'll be people pulling out all the stops for this tournament. I should be going with someone I've trained with a bit more, shouldn’t I?" He nodded towards the cowering Buizel in his arms. Naomi was disappointed by this, since she was planning to use her newest team member for the tournament, and hoped they could use their newly evolved Pokemon together. Ruin knew this and decided to encourage her decision. "Well, do you think Valentine will be up for this?" He asked. She looked back with a degree of mischief in her eye. "If all else fails, I can always give Ada pom-poms and let her cheer him from the sidelines." O'Rellie clapped her ears at this as the group finally reached the top of the stairs and entered the gate. What awaited them was an astounding view of the castle's base where a small village was brimming with life. People of all ages ran about, happy and excited, eager to try out all the games and other things that celebrated the age-old traditions of the palace. Naomi approached a man dressed in a shining suit of armour, and inquired as to where the changing rooms were. After a short conversation for directions, she took Ruin by the hand once more and the two marched into the heart of the crowded streets and towards the Castle's main hall. He was late, though that wasn't much a surprise. Still, Spencer was annoyed at the man. The Russian was a busy man, and he did not have the time to waste waiting for his slower comrade. He couldn't be lost, the castle was far too big to be missed. Spencer himself stuck out like a sore thumb, being one of the few people around not in costume. Instead, he was in his faded blue jeans and white coat. His hair was gray, even though he was only middle aged, but he hadn't started balding yet, his bangs alone almost long enough to start getting in the way of his glasses. Even though the weather was rather nice, he was also wearing a crimson scarf, an item he had picked up on his travels. With a sigh, Spencer looked down at the pocket watch in his hand, then up at his Infernape, Mikhail. If the Pokemon was bored he didn't show it, standing only a foot from his master, and holding his master's silver-colored briefcase. Spencer was a small man, both in height and weight, and always had trouble with the thing. If Mikhail did, he wouldn't let Spencer know. The man took another glance at his pocket watch, he'd be leaving if the man didn't show up soon. Suddenly, there was a tap on his shoulder. Spencer looked over to see Mikhail pointing at something with his free hand. The Russian looked up, spotting the Tropius zooming above the crowd. On it, was Leon. The man was wearing tan pants and a white dress shirt, and was looking around the crowd, probably for Spencer. He spotted the man, and had the Tropius come in for a landing. The crowd parted, not wanting to be rammed by the six foot tall flying dinosaur. It landed without incident, and the man on board got off. Spencer looked down at his watch again, Leon was half an hour late, they had only an hour to prepare for the tournament. "Fashionably of course," Leon smiled, "You going to get in costume?" "I don't plan to, no," the Russian sighed. "Ah, you're no fun," Leon sighed, returning the Tropius to its Great Ball and releasing a Wynaut instead, "Who are you going to use for the tournament? I'm considering Grant, but I don't know." "Hades, same as always," Spencer answered, moving to leave the courtyard. "Him again?" Leon asked, hurrying behind him, "Don't you ever get bored of him?" "No," Spencer answered, leaving Leon behind. Mikhail had hurried along behind him, still holding his briefcase. The Infernape was able to clear a path in front of his master, allowing Spencer to pass through the crowd with no trouble. Leon hurried to follow behind, trying not to lose them in the crowd. After a few moments wandering, they managed to find themselves in an impressive doorway. They entered, still pressing through the crowd, reaching what they hoped was the main hall. Spencer hoped that it was the place where everything would be announced. Riley strode through the gate, and entered a village at the base of the castle. He was planning to enter the Competition that day, but needed to find a costume for it. He laughed as he saw little kids much smaller than him run past with their small pokemon hot on their heels. He smiled, and so did the Riolu perched on his shoulder. It giggled, and slapped him playfully, the little everstone carving on it's neck dancing. Riley smiled, and tickled her under the chin, making her laugh even more. Riley smiled, and started walking towards the main hall. He got to a small crowd, and Lucy was on her feet in an instant. She helped Riley push people away from him, and even swatted away a thief trying to grab her. That was the problem with modern times. You can never go some where without finding someone that isn't pure. Both Riley and Lucy wished it was back in the time of their ancestor, Sir Riley and his Lucario. Back then, every one had been noble, albeit sometimes trying to hurt and kill each other. They were chivalrous, and Riley thought that no-one was more Chivalrous than Sir Riley and his childhood friend, Cassandra. But enough of that. It was time to start being serious. He had managed to get into the main hall without being hurt, or hurting anyone himself. He got to the rooms with the costumes thanks to the help of some guards. He saw a lot of costume racks and started looking through the clothes. Less than ten minutes later Riley emerged dressed in a blue garb. He had a blue cloak and a blue hat and all in all it reminded him of the portraits he saw of his ancestor. Lucy was dressed in a small blue dress, in the section where trainers could dress up their pokemon. They smiled at each other, and they started looking for the competition sign up. They passed a couple in the village and Riley felt a strange feeling inside him. Lucy let out a small moan, and they looked to find the duo but couldn't see them anywhere. They looked at each other and shrugged, and kept on walking. "We should have brought Sem along with us, hun," said a woman. She seemed pretty tall in her black stiletto heels, and had strong, almost fierce facial features. Her olive skin had a golden undertone, and her maroon-colored wavy hair was worn down. The muscles in her legs were toned, and clearly visible thanks to the heels she wore. The woman also wore a black pencil skirt that fit her form nicely, and a dark green blouse worn under a white blazer, which had a black trim. Overall the woman looked quite elegant, which was what she liked. Of course, the most intimidating thing about her was the Ekans hanging from her neck like a scarf. It looked around, holding its head up tasting the air with its forked tongue. "Valencia, he's in Hoenn. Let's not bother him. Let's just enjoy this time we have together away from the lab." The reply came from the man whom she had hooked arms with. He had much lighter skin and his face was softer and more welcoming. His blue eyes were soft and had a small glint in them as they surveyed the castle grounds. He was wearing a pair of black slacks with black dress shoes. The slacks were a bit loose, but otherwise fit quite nicely. Her wore a pastel blue dress shirt under a white blazer as well, but it didn't have a black trim like the one his partner wore. Valencia said nothing, only gazed upon the soft brown color of her husband's hair with her dark eyes. "That hair dye worked really well," she said with a content smile as she looked away. The look on her face was an 'I told you so' look, which she wore quite often. "I'm happy not to be married to a man with gray hair." The man feigned being hurt by her comment, only causing her to smile all the more. "I'll be happy being married to you no matter what color your hair is." "Oh, Toby," she replied, still smiling. They leaned in and pecked each other on the lips, having just had another 'cute-and-happy-couple-who-have-been-married-for-a-long-time' moments. They had indeed come to Aldoran Castle to get away from the lab. The Aquasises rarely actually took time off, too involved in their experiments and studies to even bear being torn away for even a moment. There did come a time though when enough was enough. The couple had wanted to visit castle for years now, so now they were finally there. They took in everything they could, enjoying the atmosphere. It was fascinating how the palace workers worked so hard to pull the castle and the village back into a time long passed. "We have to go find some clothes to change into," Toby noted as they passed yet another person in costume. "And we might as well participate in the tournament." "Do we have to battle?" Valencia asked with a curled lip. "I can't remember the last time I was in a tournament." "Neither can I, but we still practice at home," her husband replied. He leaned in closer and whispered in her ear. "And you can't say that you don't want to teach these kids what a real battle is like." "Hnn..." Valencia thought with a white smile. "We're not Rocket's anymore, but we're still rockin'." Together they both found a pair of rooms that held clothes that suited their Victorian tastes. Valencia decided against wearing a gown of any sort, opting instead for a pair of knee-length black breeches and white tights to cover her lower legs. Her top was a red corset blouse with long tight sleeves that became loose and ruffles at the ends. The top had buttons near the top and a tail. With her hair done up she put a mini top hat with a red band atop her head. On her feet she wore a simple pair of black flats. Toby decided on a similar outfit, choosing a pair of black breeches with white stockings and a black shoe with a buckle. On his torso he wore a black double button tailcoat. On his head he wore a proper top hat, though it was red with a black band around the hat-ring. "You look wonderful," Mr. Aquais commented upon seeing his wife. "We look wonderful," Mrs. Aquais corrected. They seemed like a matching pair as they blended in with the costumed crowds. Black and red was their theme - somethings never changed. "Should start fairly soon," Toby said as they stood around with other people who would soon be their competition. "I hope so," Valencia replied with a grin, petting the head of Lillim, her Ekans as she waited with her husband for the tournament to start. In amongst the crowd of knights, noble folks, peasants, and other medieval-costumed people, Brendan and Damian stood out with their modern clothing. Brendan, wearing yellow half-gloves, a red-and-black jacket, matching pants, and a striped headband of the same colors. And Damian, in a black waistcoat, white shirt, jeans, a red scarf, and a beret. Both of them looked like something torn from a photo of the present and stuck in a picture of the past, having a Machop and Empoleon following behind just added to the spectacle. That would be changed soon enough though. This was the Aldoran Festival after all. “This is Aldoran Castle then?” Damian asked, looking curiously at looming palace at the end of the stone walkway. “Is it all about these people coming out of history books?” Damian asked, unaware of what this festival was about exactly. “Say what you will brainiac! I’m just here for the tournament, so you should start practicing your courteous bow, Brendan!” Damian declared. “Just remember that there are a lot of strong trainers in the tournament. They literally meant “trainer from near and far come for the prestigious honor the tournament brings” in the brochure. We’re both in for a tough time here.” Damian stopped for a moment, and then turned back to Brendan. “If it comes, then it will come, and winner goes for gold.” Brendan promised, the two shook on it. “Then there should be a lot to pick from. I’ll need a great costume to match what I’m going to become by the end of the day, maybe a really cool suit of armor or something. Lets get going Hydro!” Damian suggested, the young teenager then took off with his Empoleon lumbering behind. The young adult was left with his Superpower partner. “I did mention the ball, right Machop?” Brendan asked, Machop nodded grimly in response. Brendan had to smile then; a spectacle of the ages would soon be reconstructed. But at least he knew what to wear. “No… Nope… Nah…” Brendan said as he slid one outfit after another down a clothes rack. His hunt for an outfit wasn’t going as well as it would for others. It was a bit of a guilty secret, but Brendan was actually quite picky about clothing. That’s why he only ever wore his own clothes, though he was pretty good at taking care of them. “Mach?” a voice called from his feet. Brendan looked down to see Machop pointing at his hair and at a guy in front of a mirror, powdering his hair white. The interesting thing was that their hair was now the same color; pure white. “Ha. Ha. No” Brendan said sarcastically, and then returned to flicking through the clothes. And then, just before he reached the end of the line, he found it. A red tunic with old-fashioned boots, a flowing cape, and a red hat with several Pidgeot plume feathers stuck into one side. Something about this particular outfit just caught his eye for some reason. And after trying it on and seeing himself in the mirror, he decided that he was satisfied with it and took that costume for his attire. “Took you long enough!” Damian shouted as soon as Brendan stepped back into the open air, Empleon wasn’t in sight, so he must have returned to his pokéball. Damian kept true to his word, and even found the right size. A stainless steel plated armor with the rough carvings of Pokémon at the limbs, but not so obvious that he looked like some sort of evil knight. The matching helmet was under his arm, so his head and face clearly told of how heavy it was. “Of course, the olden knights had to, so I should. It’s just a matter of…” Damian paused as he tried to raise his arms, grunting as they came over his head, “… getting used to the weight.” He dropped the helmet on his own head, ringing as it clashed with the shoulder-pads before fitting in place. “Let’s just get signed up before you… need to get out of there.” Brendan said, knowing many ways that this was going to end badly. And then, very slowly, the two walked over to the registration booth. True to her word, Naomi spent a considerable amount of time choosing what to wear. Unfortunately for Ruin, she had only managed to try on three dresses so far, with two, possibly even more to go. As her options lay draped on his arm, Ruin shifted through the clothes rack in search of something for himself. O’Rellie, Naomi’s Wynaut, seated herself on a window ledge while Blues joined his trainer in sifting through the numerous costumes. Ruin chuckled at the Buizel beside him. “Want something to wear yourself?” He asked. Blues looked up at his trainer and wagged his two tails. In his previous experiences, Ruin discovered he had an affinity for Pokemon High Fashion; trainers who specialized in the art being known as Pokemon Stylists, Pokelists for short. While helping Ruin to realize that goal, Blues discovered he had an affinity for dressing up in odd outfits tailored by his trainer. “Bui bui!” Blues barked happily. “Well, in that case...” Ruin looked over at O’Rellie, a grin even more devious than Naomi’s played across his face. “Wy?” The Wynaut seemed to ask. “Kay, we’re ready,” said Ruin. The door swung open and the two Pokemon trotted out first. 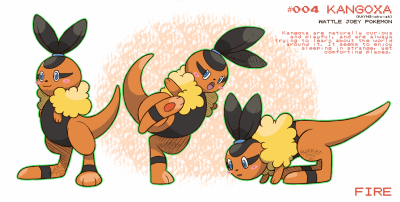 Naomi squeed with delight as the Buizel and Wynaut twirled around, showing off their own costumes. O’Rellie was wearing a pink gown that fitted her perfectly, using her ears to hold the ends as she did a sort of curtsy. Bluez was jumping around excitedly in his checkered blue outfit. The way his flotation sac wrapped around his neck like a frill made him look like little jester. Ruin was the last to emerge from the changing room, wearing a long black robe with a cream manteau hanging around his shoulders. Large buckles hung from his sleeves and collar while a large medallion was hanging from a sash wrapped around his waist. “I could get used to this,” he said as he pulled the hood of his costume up. His ensemble made him resemble a friar or cleric. “I thought you might say something like that,” said Naomi. Seeing everyone else’s costumes, she almost forgot to show off her own. She strode in a circle around the three then spun in place before striking a pose. She was wearing a very formal-looking, blue coat with large buttons on her chest over tight, white slacks. Her sleeves and collar were lined with an ornate floral design and her shoulders had small spaulders with epaulettes hanging from them. “Well?” she said with a wink. O’Rellie and Bluez cheered excitedly in response, but Ruin looked rather perplexed. “Isn’t that a bit too....masculine for you?” Ruin commented. “Well, any girl can dress up as a princess or a noblewoman; there’re just too many dresses and all. I thought that going like this would make me stand out a bit more,” Naomi explained. “Do what you like then,” Ruin shrugged. He then rolled his sleeves up to peer at the Poketch on his wrist. “We have just about enough time to register for the tournament. We should head to the coliseum now.” Naomi nodded and picked up O’Rellie. As they were about to leave the room, something caught the young lady’s eye. On the table near the door was a small tiara. She snatched it just as they left the room and quickly placed it on her Wynaut’s head. “How about that, princess?” She said in a deeper tone than her normal voice. O’Rellie adjusted the tiara and squeaked happily at it. “Right this way, your Majesties.” Ruin bowed and waved a hand down the hallway towards the rear of the castle. Bluez was also getting into character by casually bouncing around. Other humans passing by giggled at his antics, though he paid them little heed. It was as though the timid little buizel earlier was a completely different Pokemon from the one now. Playing along, Naomi strode gracefully down the hall with Ruin following her, passing several of the palace’s staff members. Had they not known better, they could’ve sworn she was royalty indeed. "Greetings, and welcome fair lady and gentleman!" greeted the man sitting at the booth. "And I bid thee welcome as well, o charming serpent," he added as he nodded at Lillim. Toby and Valencia exchanged amused glances. "Hello, and thank you," they both said in unison. "Do you both seek to enter the tournament?" the man asked the as he adjusted his hat a bit. He was dressed like a court jester. "We do," Toby said with a nod. 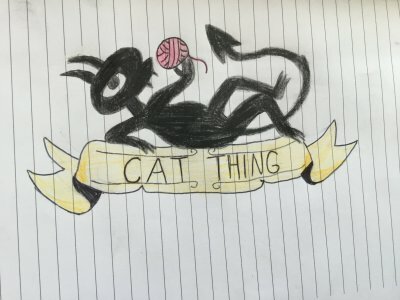 "Inscribe your names upon this parchment, as well as the Pokémon you will be using, if you please," he said, pushing forward a piece of old-fashioned paper, that already had quite a few names on it already, along with an ordinary pen. "What? No quill pen?" Valencia asked as she wrote down her name and the name of the Pokémon she was planning to use. "Don't push your luck, lady," the man playfully growled through his smile. Toby quickly took his turn writing down names and then returned the paper and pen to the man. "Thank you! Participants shall wait in the area just beyond that corridor," he explained, pointing to a darker hallway lit with torches that branched off away from the path that led to the stands. "One of the palace workers will organize you and inform when it is your turn to battle." "Thank you, sir," both husband and wife said again. "Good luck to the both of you!" he said while motioning forward the next person in line. Toby and Valencia followed the path that was shown to them, going down the dark corridor until they found themselves in a large area full of the other contestants. "Ready to beat all of them?" Toby asked. "Of course," Valencia answered as she stroked Lillim's head. They both found a bench to sit on and waited patiently for the tournament to start. “Greetings gentlemen, and noble warrior. Do you seek to enter the tournament?” the receptionist, a man in a jester attire, greeted. “That’s right. The Valorous Damian, come to defeat his foes and take his place as a hero.” Damian announced, Brendan looked at his Machop partner, the noble warrior that the receptionist was actually referring to. They looked back at the receptionist and shrugged, he nodded back in understanding. 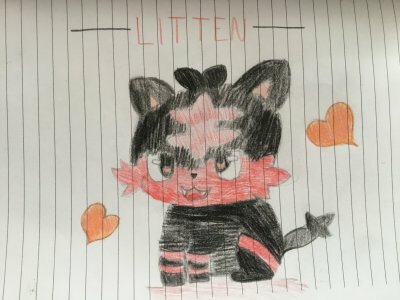 “Inscribe your names on this parchment, as well as the Pokémon you will be using, if you please.” He said, pushing a pen and a parchment towards Damian, who hastily wrote down his name and Pokémon, then moved aside to let Brendan do the same. “Huh? No quill?” Brendan asked as he picked up the modern writing tool. “You’re not the only person to ask that sir.” He replied. Brendan didn’t need to even read it to know that Damian was using Hydro for this, so Brendan wrote down Machop next to his own name to keep with their status quo. “Excellent, now if you would just go down this corridor to the waiting room, we can sort you into the tournament and tell you when your battles are.” He said, pointing towards a corridor lit by torches on either side. “Okay then. Thank you very much!” Brendan said, then the two of them descended down the corridor. It then opened up into a room that was already being filled with trainers for the tournament, all in various different attires, from common folk clothing, to garments fit for a king. They weren’t the only ones though. Many of the trainers had their Pokémon out, who were stretching themselves for the battles to come. "Greetings Sir Knight, and Lady Riolu. Do you seek to enter the tournament?" the receptionist for the tournament said, dressed as a jester. Riley bowed and Lucy curtsied. Riley picked up the pen and shot a quizzical look at the jester, who laughed and shook his head. Riley signed his name on the form, and put Lucy's name next to his, showing he was using her in the tournament. “Excellent, now if you would just go down this corridor to the waiting room, we can sort you into the tournament and tell you when your battles are.” the man gestured down a hallway and Riley smiled a thanks at him, before walking down the hallway. Riley reached a room where a lot of trainers were waiting for their battle, and spotted two men talking to each other. One was garbed in red, while the other was wearing knights armor. Riley would usually introduce himself, but he was quite sure neither of them understood sign language, and they would most likely be freaked out by Lucy speaking, even if it was through her natural aura ability. He just smiled and stood nearby, he and Lucy looking around but listening to their conversation. OoC: Short. If you hadn't noticed already Riley's mute, and Riolu's should be able to speak through aura. If not Lucy's special. Following the crowd, the two Trainers were eventually able to find their way to the reception desk. The man inside was in a jester costume, and gave them an odd look when he saw they weren't dressed up. However, he still allowed them to sign up. Spencer wrote down his name, and then the name of the Pokemon he'd be using, Hades. Leon decided to go with Dory, instead of any other Pokemon he had. The man had to be planning something, and Spencer hoped he wouldn't be the one to find out what. Mikhail again making a path for the two, Leon and Spencer made there way down a corridor the jester had pointed out to them. The hallway eventually let out to a large room that was filling with Trainers. Once again, almost everyone in the room was dressed like they'd just stepped out of the Renascence Fair. Leon and his Wynaut quickly disappeared into the room, leaving Spencer and Mikhail behind. The Infernape was nice enough to make sure his master didn't get pressed in by any of the trainers, while Spencer himself checked his watch again. It was about time for the Tournament to start. "Oh for the love of-" The young man was cut off as yet another person shoved their way past him, that was the problem with crowds; they were full of people too concerned with themselves. He looked around for his young companion, who had been close behind him until a second ago, though now he was no where in sight. "Doesn't he know how late we are? We aren't even in costume yet." That much was true, the young man was still dressed very modernly, and as such he stuck out in the crowd. He was wearing a pair of black slacks, a pair of heavy looking boots and a green shirt beneath a black coat with various zippers, buckles and other fastenings. "You want to dress up? Who are you and what have you done with Rein?" Came a reply from directly behind the young man. Rein turned to see his friend there once again. Only now he was devouring some sort of festival food. Like him, the younger boy was dressed more modernly; in a gray sweater, blue jeans and black and gray skate-styled shoes. Around his neck he wore a long, black and gray scarf and on his head, just below his orange-brown hairline, he had a pair of blue-lens goggles fastened. His blue eyes smiling even though his lips were feigning worry. Rein looked back at his companion and playfully punched him in the arm. "Do you always need to be eating, Flyn? I happen to like history, and for once I'm looking forward to participating in a tournament." He sighed as he remembered his previous encounters with Pokemon battling. At a young age he had acquired a pretty negative opinion of battles, his past revolving heavily around battling for survival rather than sport. Recently, however, he'd been able to start enjoying the recreational side of it, especially after challenging the gym leaders of various regions with Flyn on their travels. Flyn decided not to tease the man any more, he had noticed that in the past few months Rein had really loosened up. He was always the more reserved of the pair, and that had remained true. But recently he'd become far more fun-loving than he had been previously. Not that Rein never had fun, on the contrary, he was a loyal, dependable and all around nice guy who was fun to be around; but his past had made him suspicious of most everyone and everything. It made getting to really know him challenging, but for whatever reason he had taken Flyn on like a little brother. They had been inseparable since then. "All right, where do we go to get costumes?" Flyn asked instead, smiling as he finished his nondescript-meat-product-on-a-stick. "I'm, uh, not entirely sure." Rein confessed, scratching the side of his head through his black hair. Flyn sighed and pushed his way through the crowd and up to the main hall of the castle, Rein following close behind; wondering where the sixteen-year-old was heading off to in such a hurry. And apologizing to the people whom he rushed past. When he caught up to the boy, he was speaking to one of the men dressed as guards, and the man was directing them to changing rooms where they could find costumes. "... Oh, and by the way!" The man shouted as they started moving in the direction he indicated, "If you want to participate in the tournament you'd better hurry and get yourselves signed up! It's beginning soon!" "Tell us something we don't know," Rein breathed and increased his speed even more to keep up with Flyn as they ran to one of the rooms. Once they were at the room Rein decided to release his Pokemon, she didn't like being in her Pokeball for too long at a time. Reaching into his coat he produced a white Pokeball with a black center and out of the energy within emerged a black creature with yellow rings that seemed to glow and piercing red eyes. "Sorry about that, Lunara. The crowds were a mess." He smiled and the Umbreon smiled back in response. "Come on out, Legion." Flyn said, following suit and deciding to release his own Pokemon from a normal red and white Pokeball. Out of the red energy this time, came a purple creature with hands that were floating inches away from its body. The Haunter blinked a few times and then remembered where they were and grinned. Always up for a battle, Flyn and his Haunter made a good pair. Flyn wasn't picky as to what he wore, not really. The boy had never been too particular about fashion in any way, which was why he always wore the same sweater and plain blue jeans. He grabbed nearly the first thing he found on the rack and stepped into one of the changing rooms. Rein, on the other hand, was picky about what he wore. Even if his style didn't match up to what people would consider 'normal' it was precisely what he intended to wear. It was truly his style and would not be one for settling. He pushed aside several outfits before he spotted one that caught the attention of his pale-green eyes. With a smirk he stepped into the dressing room. Flyn was the first to emerge, he was wearing a blue tunic with white tights and a small, square cape. His shoes were simple, blue cloth. He grabbed a hat that matched and placed it on his head, a small Spearow feather protruding from the side. It was an outfit that would suit a traveling musician or a bard, but there didn't appear to be any instruments in the room for him to rent. That was good news for the other participants, Flyn lacked any and all forms of musical prowess. "Come on, Rein! You heard the guy, we've gotta go sign up!" Rein stepped out of the changing room almost on cue, and his outfit actually suited him quite nicely. He was in a pair of brown breeches that went about to his knees with high, black leather boots that folded over themselves that went up to meet the breeches. His top was a black waistcoat with green stitching over a white, ruffled shirt. Around his neck and down to the floor was a black cloak with a high collar and around his waist was a green sash that hung halfway down his thigh. He wasn't even sure what it was supposed to be, but it reminded him of a gentleman thief of some sort. And he quite adored it. "From the look on your face, I can tell that you're considering wearing that all the time." Flyn said with a chuckle. Rein considered the remark for a second and then nodded, smirking all the while. "What d'ya say, Lunara, wanna dress up?" Rein asked as he knelt down beside his Umbreon. The look he got back was very clearly a no. "Well, we're short on time anyway, otherwise I'd convince you." He teased as he looked to Flyn, "We'd better get a move on." And with that the four were out the door and walking straight up to the registration desk. "A band of traveling performers, mayhaps?" A man dressed as a jester commented as they approached, "Are you seeking to enter the tournament? If so then you are just in time." The man handed them a sheet of parchment that had been very nearly full of names already, "Simply write your name and the Pokemon you'll be using." Then he handed them a pen to write it with. Flyn stepped up first, writing his name quickly and nearly illegibly, followed promptly by the name of his Haunter. Not a second of hesitation, the boy would be choose his Haunter every time. Rein took a second to consider, kneeling down beside Lunara. "You up for the challenge, Lunara?" He asked, not wanting to force the Pokemon into something she didn't want to do. The Umbreon had been the only thing standing between Rein and his death more times than he cared to remember. After a moment the Pokemon nodded. She'd changed a lot too, and was getting more relaxed by the day. Rein smiled and wrote their names down quickly. "Thank you sirs, now if you just follow this corridor you will meet the other participants." The man gestured down a dark corridor that opened into a large waiting area. It was already full of people, and they looked as if they were getting ready to start the proceedings. The pair had arrived just in time. And, for once, they were both excited for what awaited them.